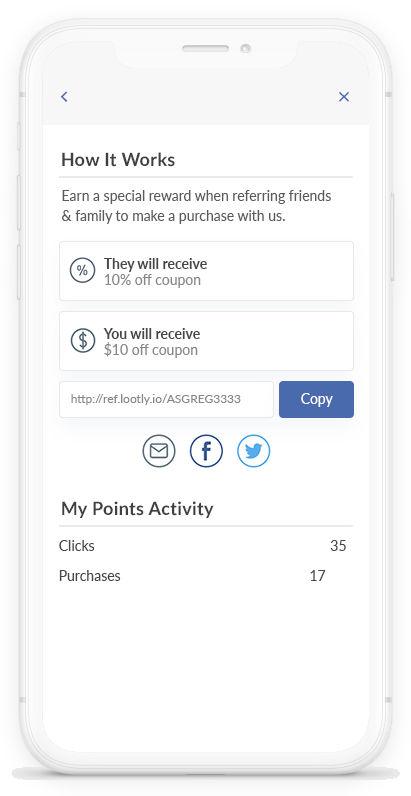 Give your existing customers a great way to be rewarded for referring their friends to order from your store. 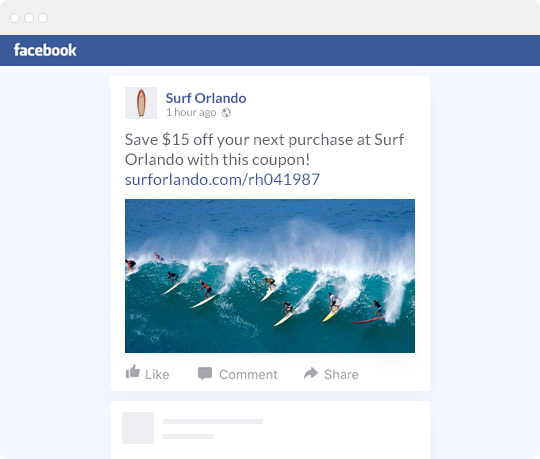 Make it easy for your customers to share their referral discount on Social Media and Email with our built-in sharing system. Customize the referral link to match your domain to maintain branding consistency. 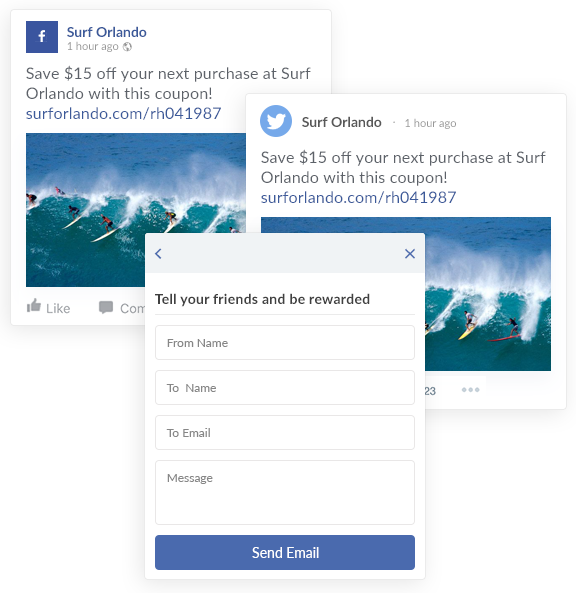 Create unique rewards for customers who share their referral link, and for those who click on the link to make a purchase at your store. 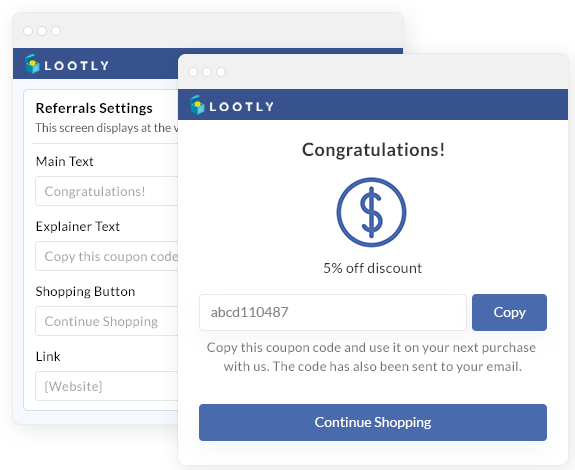 Once a referred user lands on your site, they are immediately greeted with our reward area to generate their coupon. From here they can easily click to copy their code and start shopping. 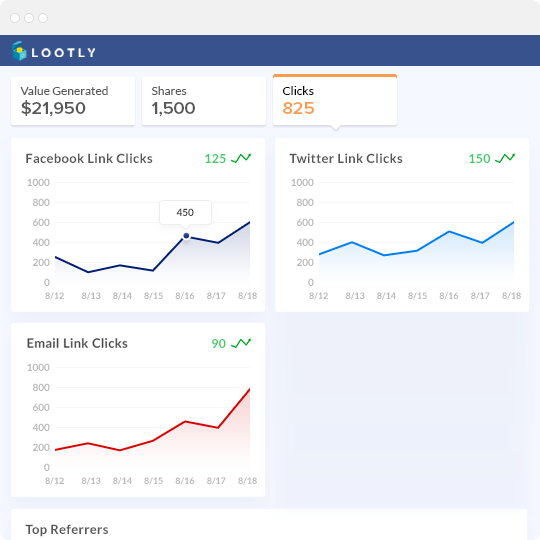 Discover how customers are interacting with your referral program, in order to continue driving new revenue for your business. Encourage actions & reward customers for interacting with your brand. Increase repeat purchases while offering unique perks for your best customers. Discover how customers are interacting with your program and make adjustments in a few clicks.